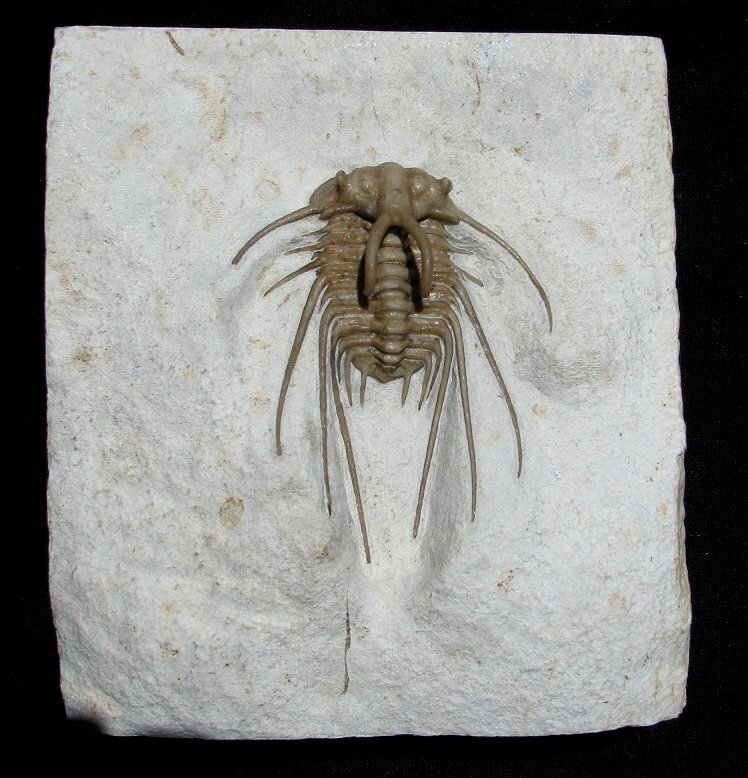 This is a fabulous example of a classic spiny trilobite. It is a breathtaking Dicranurus hamatus elegantus from Oklahoma. This awesome trilobite was meticulously prepared under a microscope by Master Preparator, Bob Carroll. This type is probably the most sought-after and recognizable trilobite from Oklahoma. This stunning fossil is beautifully outstretched on a large, squared matrix block. Both ''horns'' have been prepared free-standing, and the distinct eyes are easily seen. The genal and body spines are very long and impressive, and even the tiny tail is intact. Dicranurus is one of the hardest Oklahoma trilobites to find this well articulated - usually the free cheeks are missing, and the body spines are extremely disarticulated. This is one of the best Dicranurus hamatus elegantus trilobites ever prepared.